Item # 303421 Stash Points: 6,995 (?) This is the number of points you get in The Zumiez Stash for purchasing this item. Stash points are redeemable for exclusive rewards only available to Zumiez Stash members. To redeem your points check out the rewards catalog on thestash.zumiez.com. 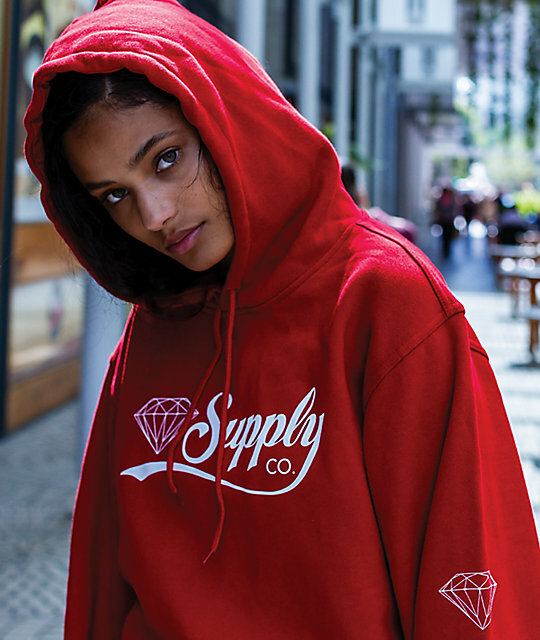 Get a clean look in a bright colorway from one of the originals in streetwear with the Diamond Supply Co. Red Supply Co. 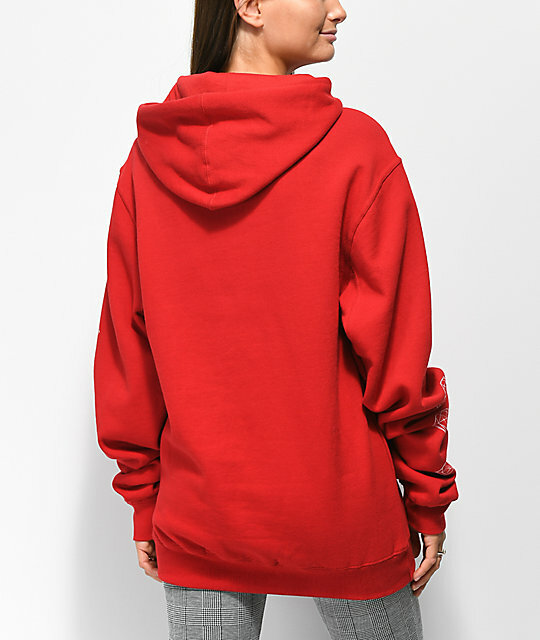 Script Hoodie. 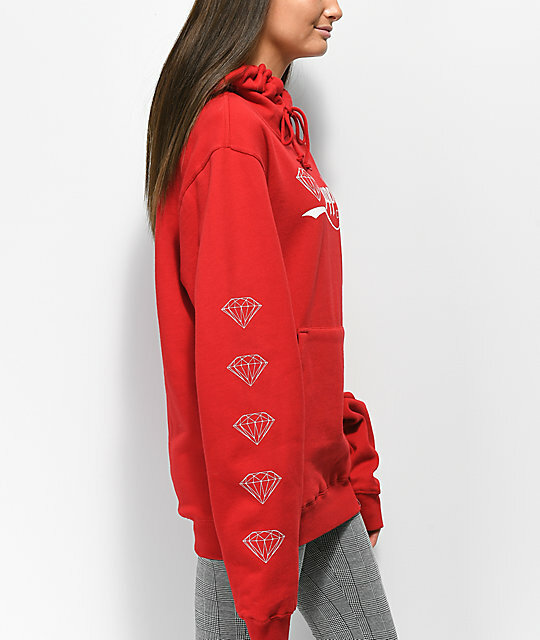 This all red hoodie features a large Diamond Supply script logo at the chest in contrasting white, while the sleeves are accented with screen printed traditional Diamond Supply graphic logos from shoulder to sleeve cuff. 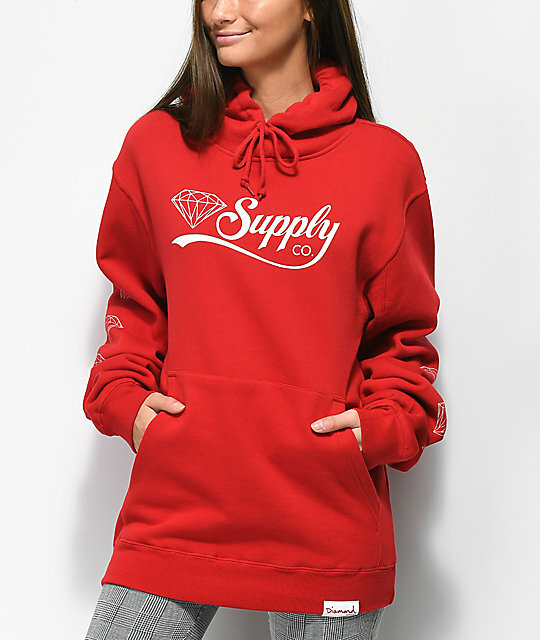 Fleece lined for comfort and in a midweight construction, the Diamond Supply Co. Red Supply Co. Script Hoodie is an easy accent to any cold weather fit. 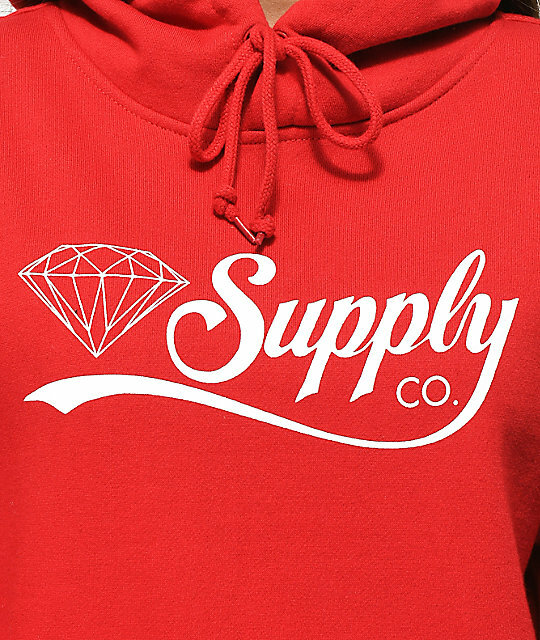 Red Supply Co. 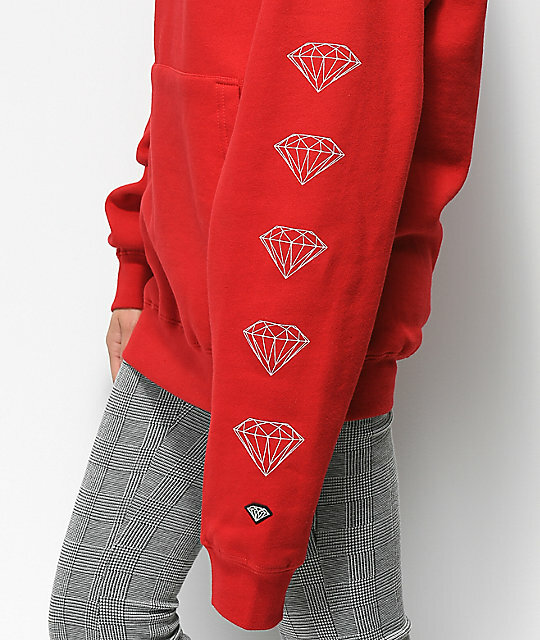 Script Hoodie from Diamond Supply Co.
Screen printed logo script on chest and graphic logos down both sleeves.